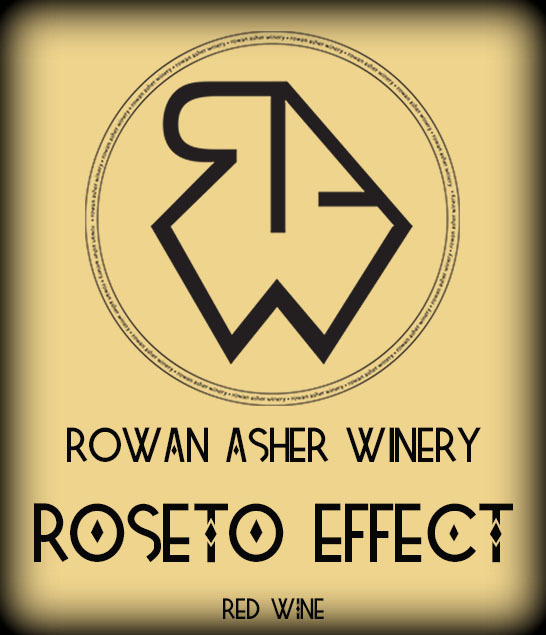 THE STORY BEHIND OUR "ROSETO EFFECT" IS DEAR TO OUR HEARTS, BECAUSE IT INVOLVES THE PEOPLE DEAREST TO US. STEEPED IN A RICH FAMILY HISTORY IN ROSETO, PENNSYLVANIA OUR ITALIAN FAMILY HAS BEEN MAKING WINE FOR GENERATIONS. THEIR UNIQUE HISTORY OF LONGEVITY WAS A SUBJECT OF A 10 YEAR STUDY BY DR. WOLF. HIS CONCLUSION AS TO THE REASON WHY THE FAMILIES IN ROSETO PENNSYLVANIA WERE OUT LIVING THE AVERAGE AMERICAN WASN'T JUST THE HOMEMADE WINE, BUT IT WAS THE TIGHT KNIT COMMUNITY WHERE EVERYONE FELT LOVED AND SUPPORTED. ISN'T THAT JUST BEAUTIFUL? WE DEDICATED THIS WINE TO THE PEOPLE IN THE TOWN OF ROSETO AND OUR FAMILY WHO WERE PART OF THAT STUDY, BECAUSE THEY KNEW HOW TO LIVE RIGHT. WE ARE PROUD TO BE KEEPING OUR FAMILIES TRADITIONS ALIVE, EVERY SUNDAY WAS PASTA DAY AND EVERY MEAL WAS ACCOMPANIED BY A GLASS OF GREAT GRANDFATHER FINELLI'S CHIANTI BLEND. WE HAVE CREATED A BLEND THAT IS PERFECT FOR THOSE HOMEMADE PASTA DINNERS WITH FAMILY. AS THEY SAY IN ITALIAN... SALUDE! "MISTY LOVE" CABERNET / "98" MALBEC / "KRACKEN"